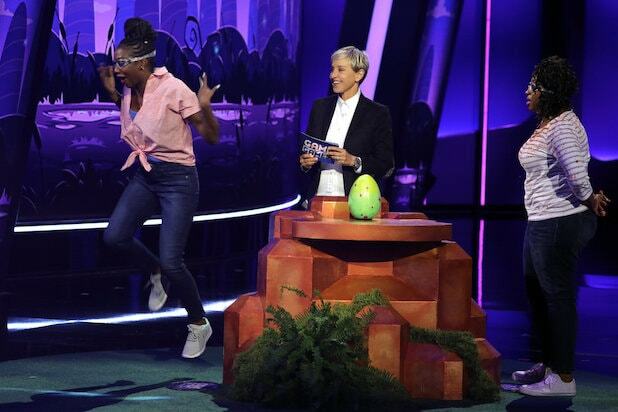 “Ellen’s Game of Games” returned with a Nielsen-ratings victory Tuesday night, as the highest-rated entertainment program of the evening in the key adults 18-49 demo. And that win came during a scrambled up primetime, thanks to President Trump’s televised Oval Office address — and the follow-up response from Democratic leaders Rep. Nancy Pelosi and Sen. Chuck Schumer — which was aired across all broadcast networks in the 9 o’clock hour, according to preliminary numbers. The second season of NBC’s Ellen DeGeneres-hosted game show premiered at 8 p.m. to a 1.5 rating and 6.5 million viewers. That’s down from its 2.0 average for Season 1, but good enough to carry NBC to a key demo win on a night when it — and all of its competitors — aired the president’s speech/Dems’ response from 9-9:25 p.m. ET. Also assisting in that demo win for the network was NBC’s airing of the Trump address, which was Tuesday primetime’s highest-rated program overall in the 18-49 range, when sandwiched between the new “Game of Games” and a rerun of the competitive series. However, CBS took first place in primetime’s total-viewers category, thanks to a strong “NCIS” crowd and the most overall eyeballs for the Oval Office address. The below data is subject to significant adjustment due to the live news coverage. More accurate final numbers for the speech and response will be available later Wednesday. NBC was first in ratings with a 1.4 rating/6 share in the advertiser-coveted 18-49 demographic and second in total viewers with an average of 6 million, according to preliminary numbers. Following the “Ellen’s Game of Games” premiere (which got the above numbers and a 6 share), NBC’s broadcast of the presidential address at 9 p.m. scored a 1.7/7 and 7 million viewers. That number represents the speeches and the first few minutes of a truncated “Ellen’s Game of Games” rerun, which aired immediately after the address. At 10, “New Amsterdam” put up a 1.0/5 and 5.3 million viewers. 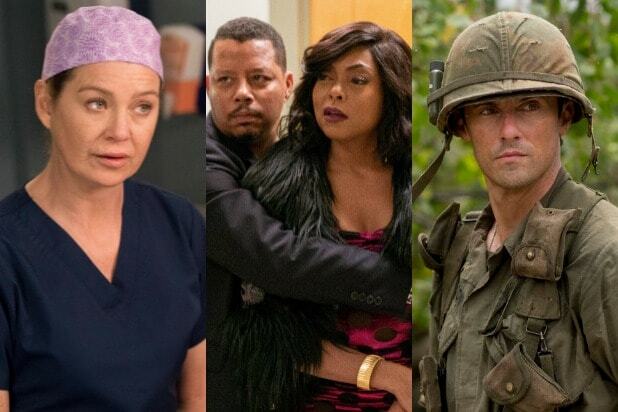 ABC was second in ratings with a 0.9/4 and third in viewers with 4.4 million. At 8, “The Conners” returned from hiatus with a 1.4/6 and 6.9 million viewers. At 8:30, “The Kids Are Alright” came back with a 1.0/4 and 4.7 million viewers. At 9, ABC’s broadcast of the POTUS/Dems address, combined with the start of “Blackish,” had a 0.9/4 and 4.4 million viewers. The rest of ABC’s block is a little messy, with programming pushed back to accommodate the speech. At 9:30, the rest of “Black-ish” and some of “Splitting Up Together” had a 0.7/3 and 3.3 million viewers. At 10, the end of “Splitting Up Together” and the start of “The Rookie” got a 0.7/3 and 3.8 million viewers. “The Rookie” closed primetime at 10:30 with a 0.6/3 and 3.6 million viewers. CBS was third in ratings with a 0.8/3 and first in viewers with 7.9 million. At 8, “NCIS” landed a 1.2/5 and 11.8 million viewers. CBS’ coverage of the president’s speech at 9 (plus a portion of a sitcom rerun) put up a 0.9/4 and 8 million viewers. It was followed by reruns. Fox was fourth in ratings with a 0.7/3 and in viewers with 2.7 million. At 8, “Lethal Weapon” settled for a 0.7/3 and 3.3 million viewers. The network’s POTUS address broadcast at 9 earned a 0.8/3 and 2.6 million viewers. At 9:30, the “The Gifted” (which was pushed back by Trump’s speech) posted a 0.5/2 and 1.8 million viewers, and ended outside of Fox’s primetime window. Univision and Telemundo died for fifth in ratings, each with 0.4/2. Telemundo was sixth in viewers with 1.1 million. The CW was seventh in ratings with a 0.2/1 and in viewers with 590,000. The presidential address at 9 got a 0.2/1 and 438,000 viewers and was the only original programming on The CW’s block last night.